Aashiyana of Pamela Santanu: Sharat - when rains give way to the early autumn with blue skies, mid-August to mid-October. Sharat - when rains give way to the early autumn with blue skies, mid-August to mid-October. Month of September 2014 was a unique one. It started like just another month of the year. Honestly it has 17th September which is most times ‘Bishwakarma Puja’ and Pamela’s B’day and that is how I remember it. From childhood Bishwakarma puja has a special mention growing up in Tripura. After Saraswati puja in January/February there was no major festival till Bishwakarma Puja. And there used to pandals and people going out in the evening to visit those pandals. Also soon after Bishwakarma Puja the annual festival season starts where we celebrate Durga Puja and others. And normally the weather would be great where monsoon is over and climate were getting pleasant. But you ask about the weather for 2014 it is a mixed bag. The monsoon was delayed in Bangalore there was hardly much rain during June and July. The rain started to pick up in September and October and we had 2014 a one of the wettest year in recent time where there was traffic chaos and what now when it rained heavily for few days in September and October. Personally was in a training plan to run my first Marathon(42.2KM) with practice with maiden Bengaluru Marathon. But my training came to grinding halt as suddenly things at family took a turn for worse. Pamela had to rush to Durg to take care of her father who was sadly hospitalized after a severe fall. 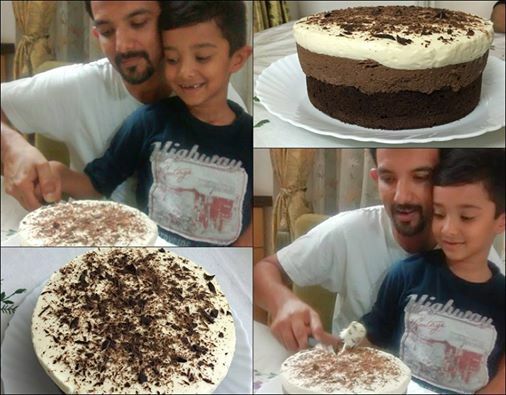 Me and Aarush managed well in Bangalore. It was bit of a driving as I had to drop him early in the west of Bangalore and come to work in the east. End of September the price of IPhone 5 started to drop in Indian on-line stores. Last year (2013) I also noticed the same for one phone which I was willing to spend but ten realized the price starts to go up after the initial offer. So this year I made no mistake and booked one IPhone 5s for 33K and there was some cashback offers from leading credit card companies. Ironically the price of 5s now at 42K INR after the Iphone 6 came to market. Not sure who will buy a older product when the newer one is not that far off. A person who is willing to spent 42K Sure will justify a spent of 53K for the latest model. I am not an apple fan boy but have to admit the phone is what I was looking for ? and loving it so far so good. The Durga puja was a special one as we celebrated the same in Bangalore with one of my beloved maternal-aunt and her family. So we have the usual pendal hopping eating outside. The 3 days just flew away. Now with all that came my birthday which was a very simple affair as things was not great again in Durg. And 4 days after that was Bangalore marathon. I had to make a hard choice of either run a Half Marathon or crawl a full marathon and after lot of deliberation I opted for the 1st one. It was an wise decision as I was struggling with 26 KM after coming back to running after an month. 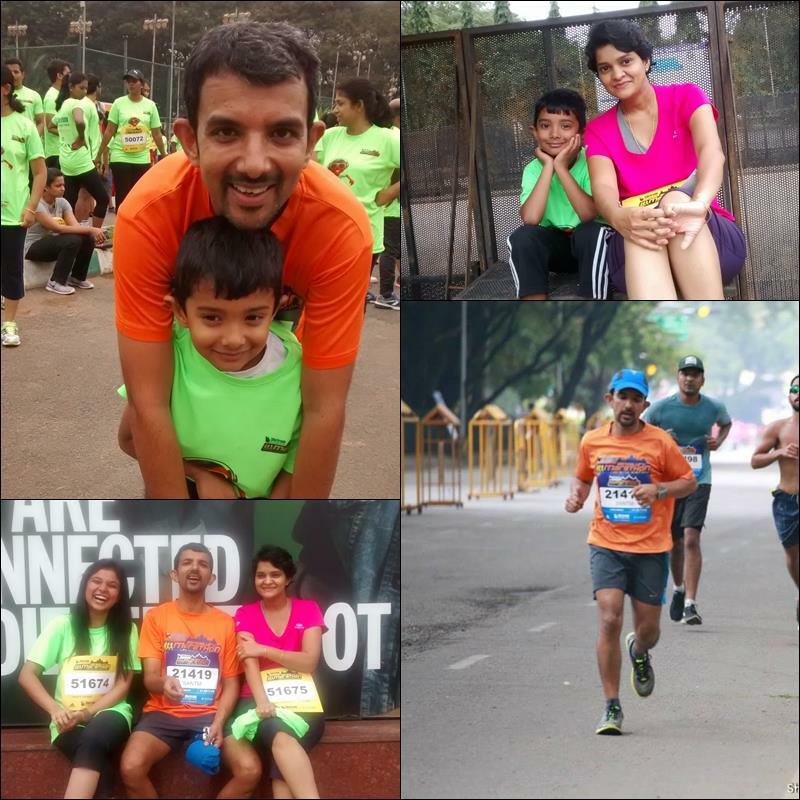 So here is my quick report on Bangalore Marathon. Enjoyed the race, did not had any target in mind at start other than finishing strong. Enjoyed the run and went with family for the Charity run after that. Here is my splits looks like if I practice well a 1:45 for HM in a good race is a possible target. Special thanks to Kothandapani Sir and my extended family of PaceMakers. UNfortunately the world media picked one news which was not great when lead pack of runners lost race route. The race organizers were great who shared the price money to these individuals in later days. Thankfully I picked up long running again on the weekends and back to 30+KM on weekends but still a full marathon looks so daunting task.